When renewing the style of your house, it is important to think about new and contemporary furnishings to change and modernize the interior decor. 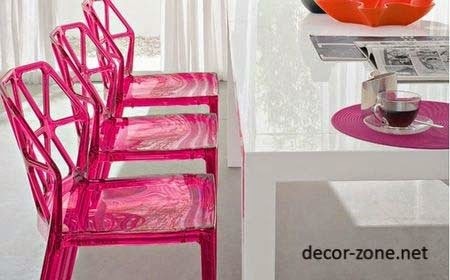 If we start with the dining room we can draw inspiration from these modern dining chairs so we can build our own table with a unique style . 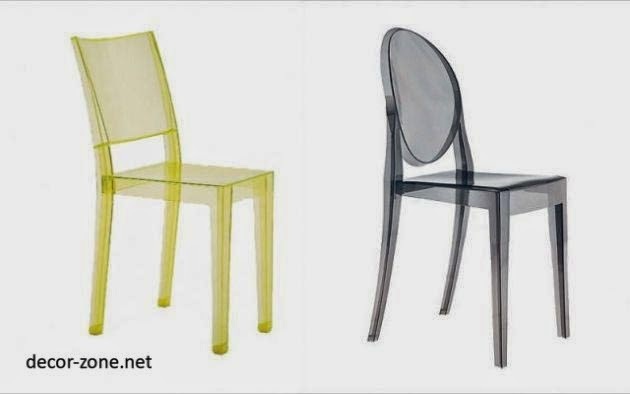 Today not only traditional materials are used for the typical furniture but also improvise very creative designs in new and very contemporary materials, such as acrylic, glass, polyester resin, polymers, pvc, etc.. transparent models are a very fresh and modern for our dining option. They are made in different colors that create a fresh and youthful atmosphere. 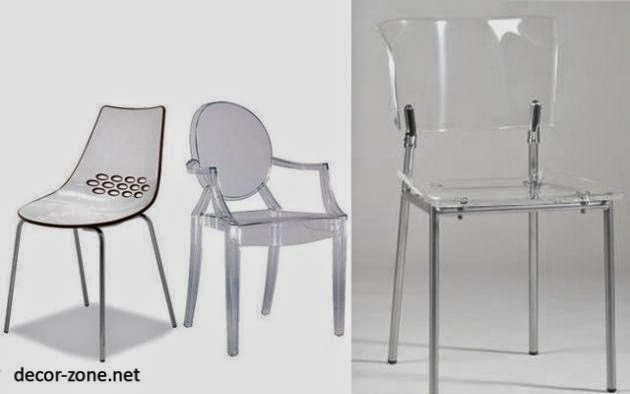 I was interested in this opportunity to show the style of chair that is transparent and translucent because they might seem more fragile and delicate, but in reality they are not and are well suited to everyday. There are models of dining chairs with arm rests that are also very comfortable to integrate our dining room.